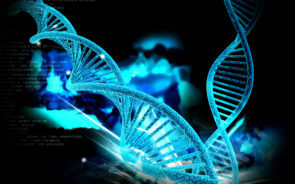 The DNA Detectives offer the best values on all DNA tests as well as assistance, DNA testing analysis, strategized DNA testing, media consulting and educational conferences and videos (here) featuring the most qualified genetic genealogy experts and much more. Where should I test my DNA? AncestryDNA’s strength lies in its vast collection of family trees that are attached to your matches’ DNA results. Their excellent system automates searching for common ancestors by comparing your family tree with your matches’ family trees and identifying the ancestors who may be responsible for the DNA match. Although we feel that the fact that they do not provide the underlying matching segment data is a serious drawback to their product, we definitely recommend “fishing in all three ponds” for meaningful matches. AncestryDNA raw data can also be uploaded into the Family Tree DNA’s Family Finder ($39). For autosomal DNA testing, with 23andMe you receive a very good ancestral breakdown and your haplogroups in addition to the cousin matching feature. Family Tree DNA’s autosomal DNA test Family Finder is also a good option. For Y-STR and mtDNA testing, FTDNA is the only company that we currently recommend. We generally recommend testing, at least, 37 markers for Y-DNA and the full sequence for mtDNA*. If finances are an issue, then start with one of the lower resolution tests, like HVR1&2 mtDNA* test, and upgrade at a later time. Family Tree DNA guarantees storage of the DNA, so testing any elderly relatives at FTDNA is strongly recommended. *Mitochondrial DNA (mtDNA) testing is usually not genealogically informative, so we recommend that women, instead, start with autosomal DNA testing and men test either their Y-DNA or autosomal DNA (or both). Note: If you have tested at one of the other consumer DNA testing companies like Ancestry.com or 23andMe, you can upload to the MyHeritage database for free here. A MyHeritage DNA test enables you to get unique matches to users who have only tested with MyHeritage, as well as matches with users who uploaded their results to MyHeritage from other providers. Thanks to MyHeritage’s wide international reach and availability in more than 40 languages, you will have a greater chance of being matched with relatives who live in other countries. You will also receive a comprehensive ethnicity analysis on MyHeritage, drawing from the largest pool of possible ethnicities in the industry.